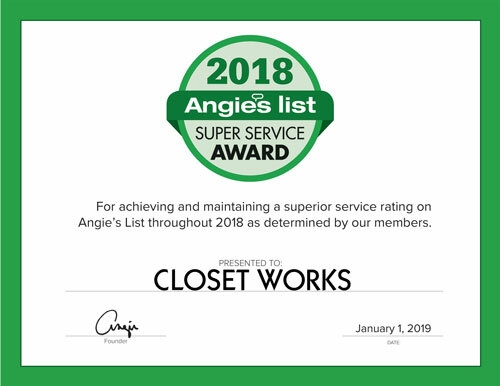 Closet Works— has earned the home service industry's coveted Angie's List Super Service Award, reflecting an exemplary year of customer service to members of the local services marketplace and consumer review site in 2018. 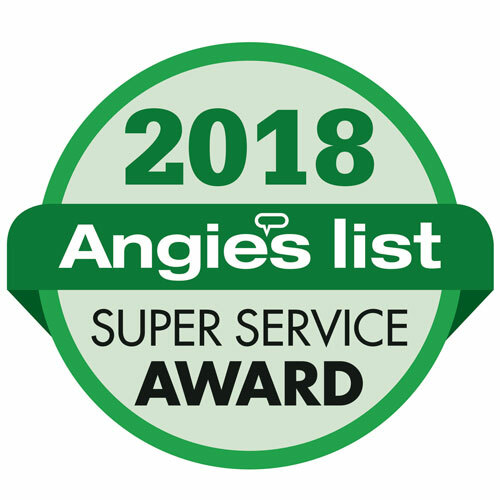 Every year, Angie’s List gives the Super Service Award to the top A-rated companies in a given category and Closet Works is proud to have achieved the award for the past 11 years in a row. Although Angie's List ultimately issues the award, the honor is a cumulative distinction of top grades and your personal rave reviews. Without the tremendous feedback we've received from our happy customers, this award would not be possible!